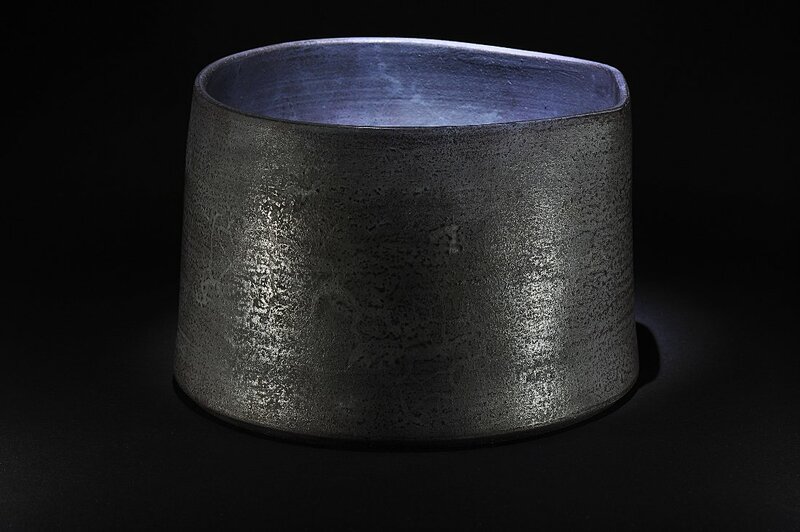 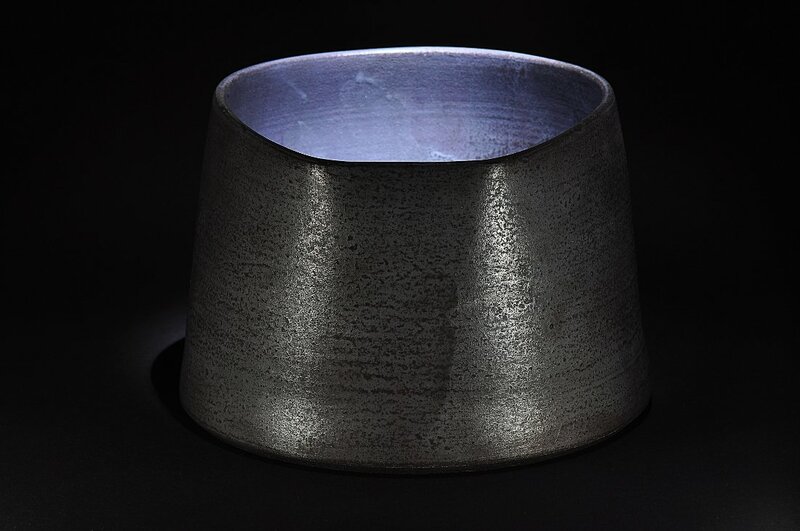 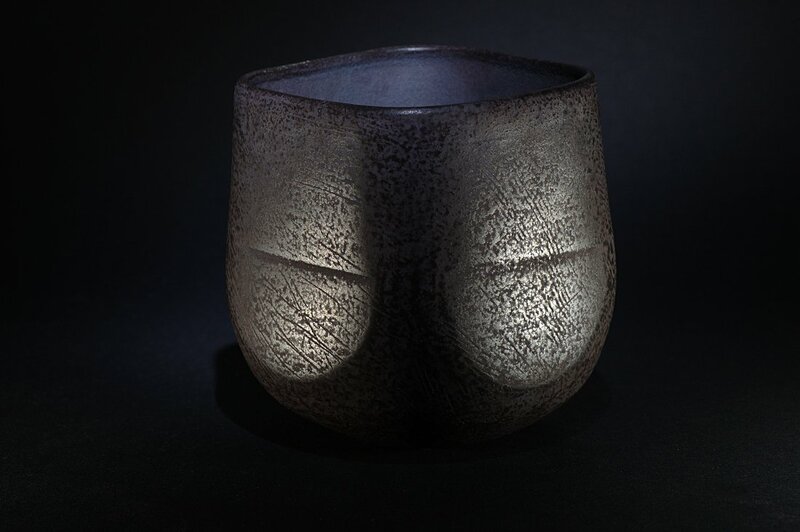 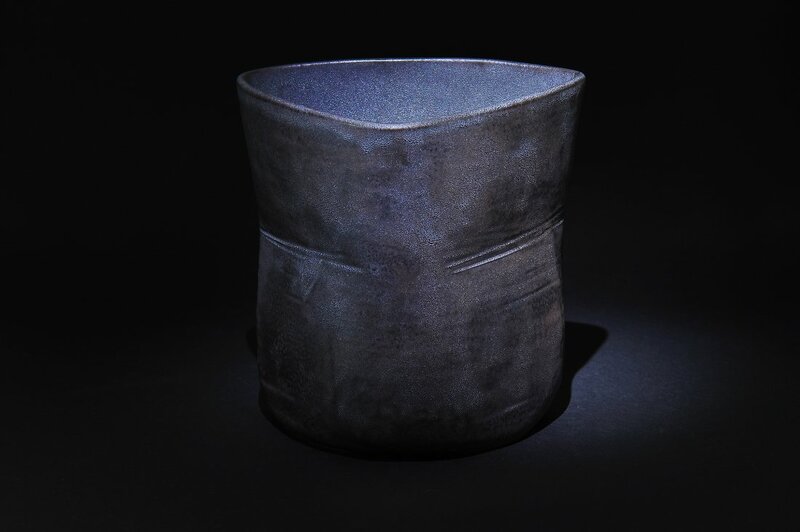 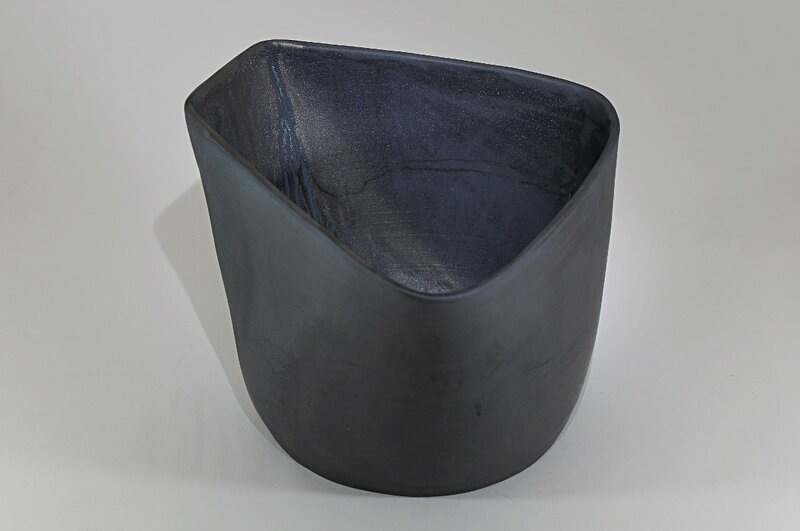 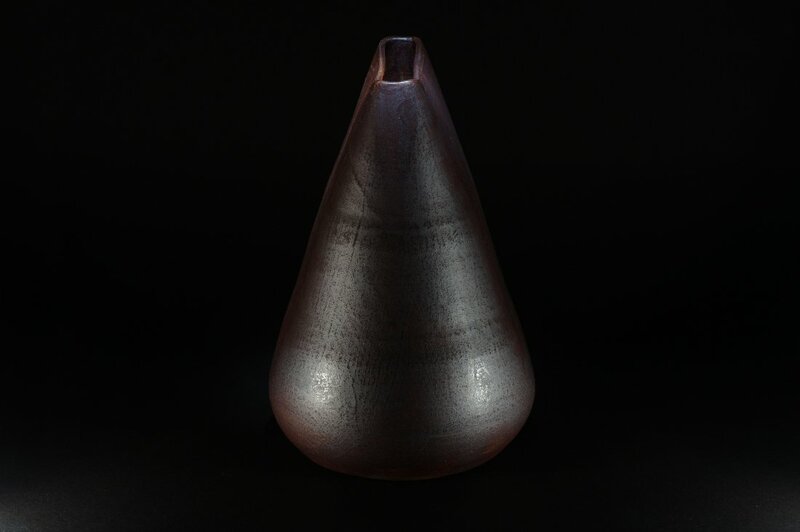 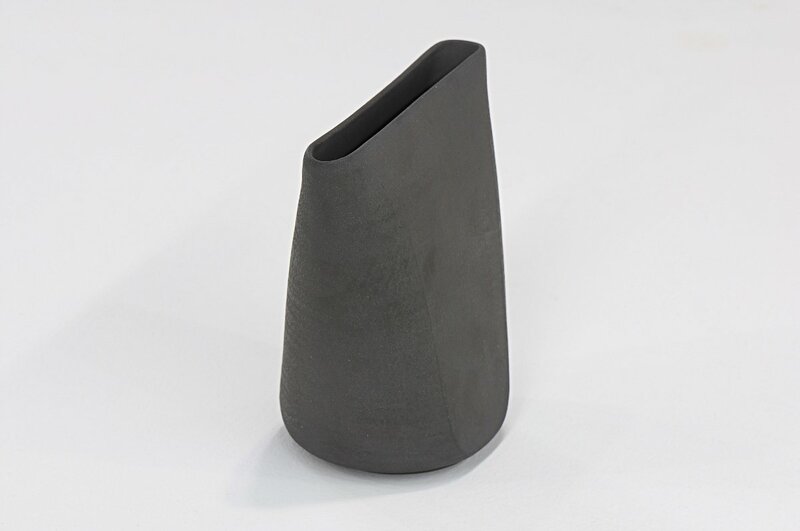 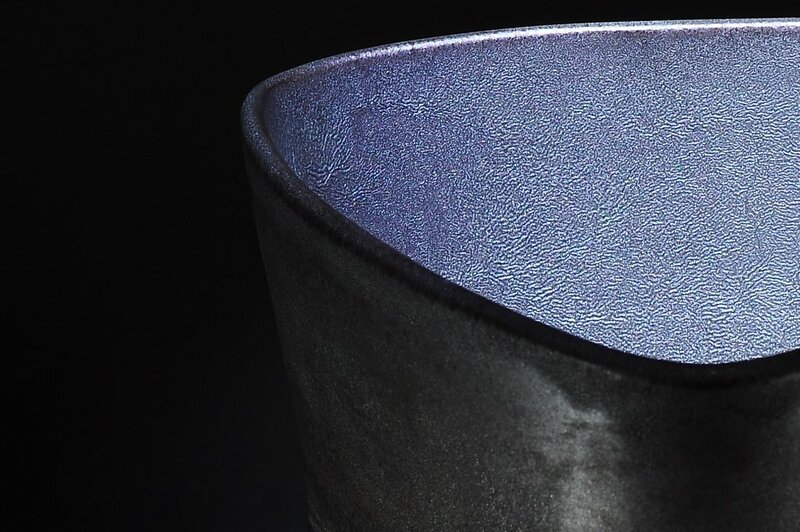 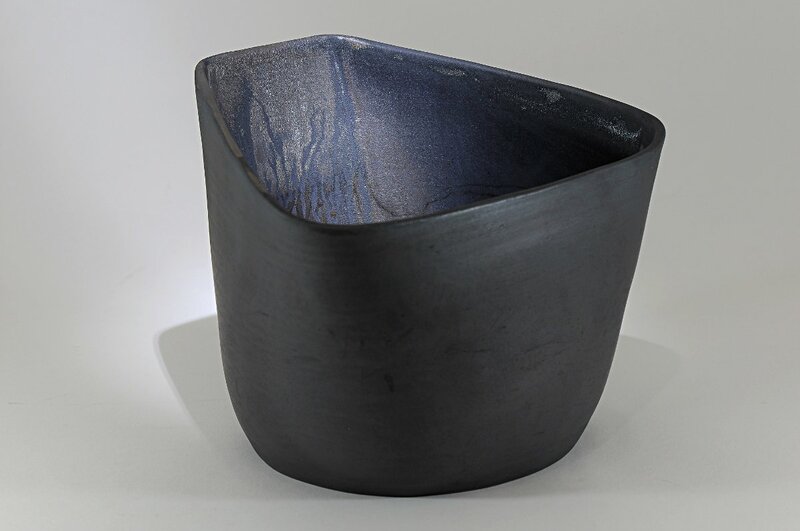 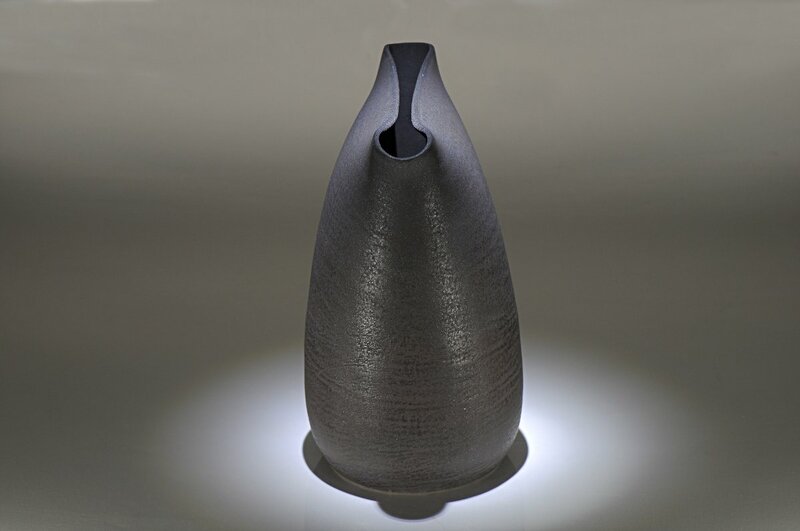 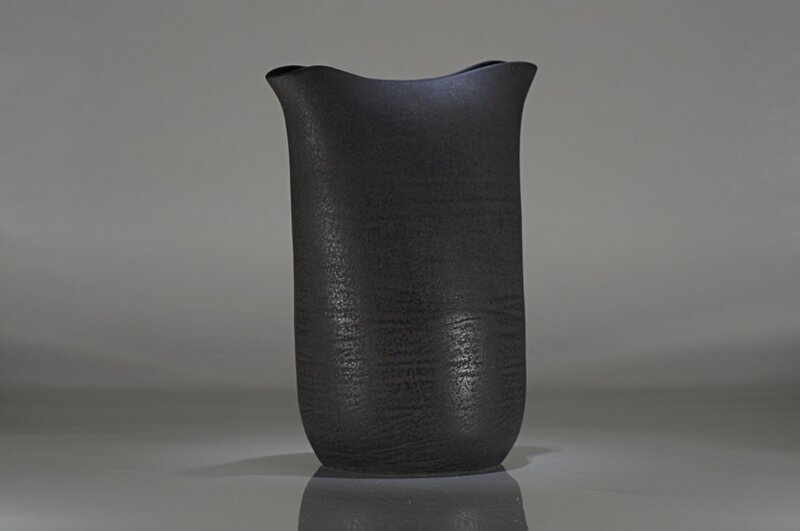 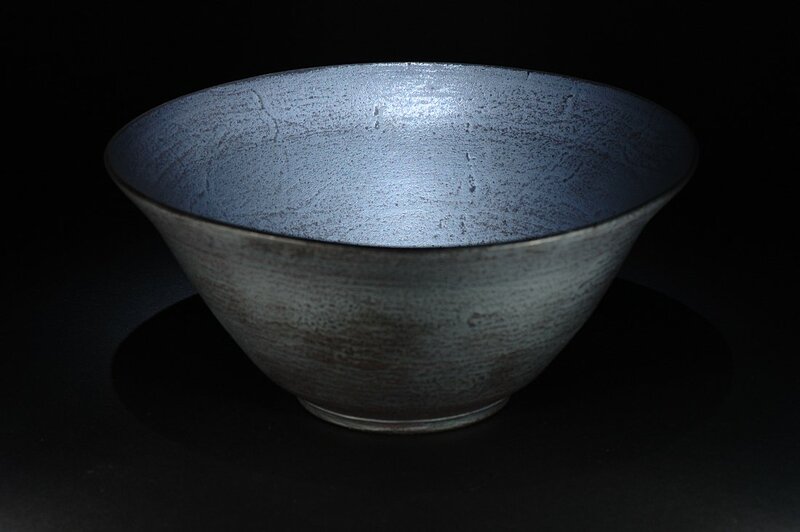 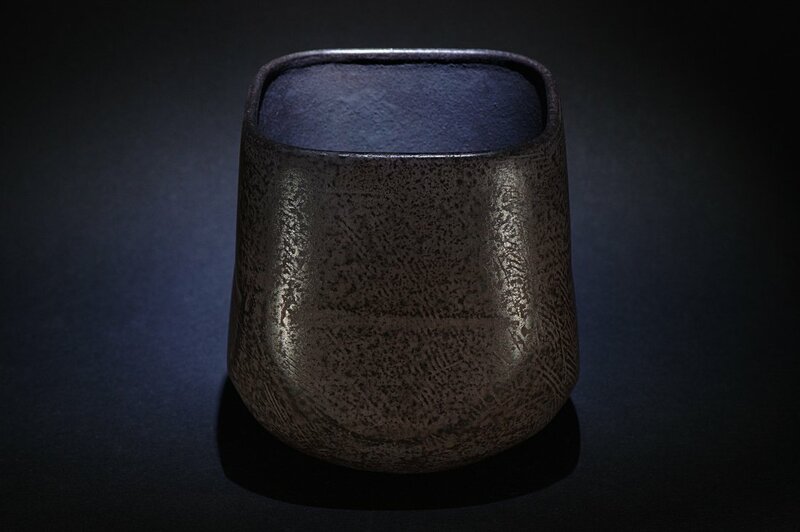 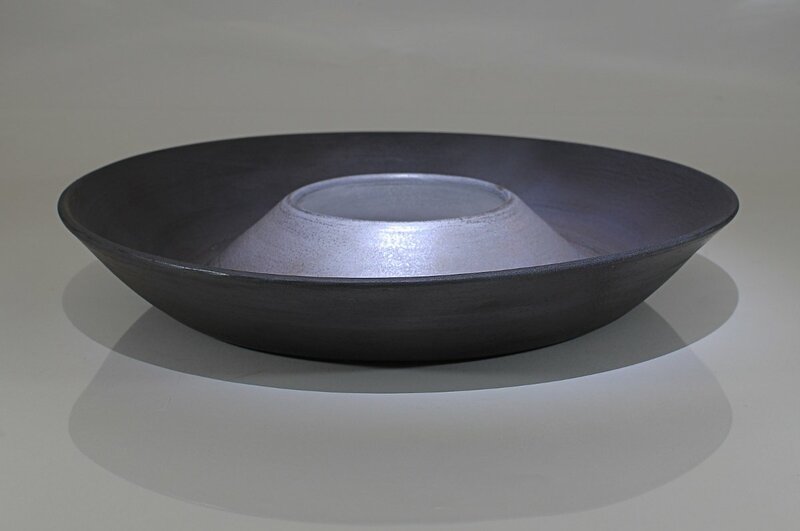 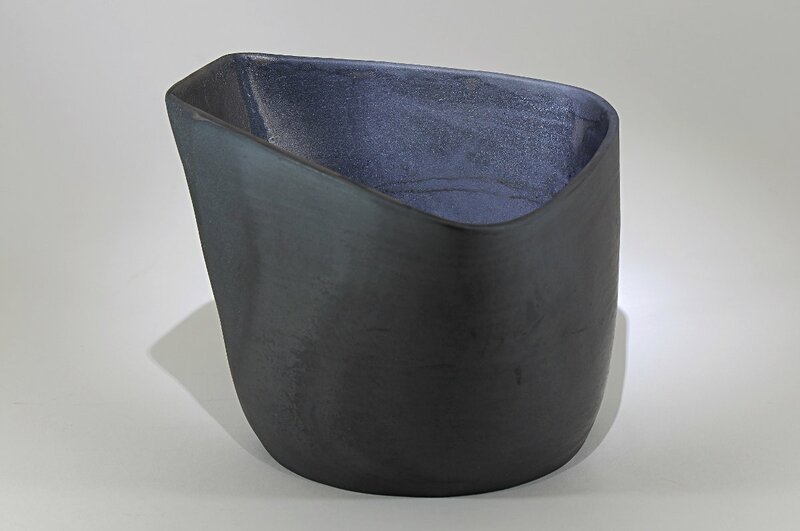 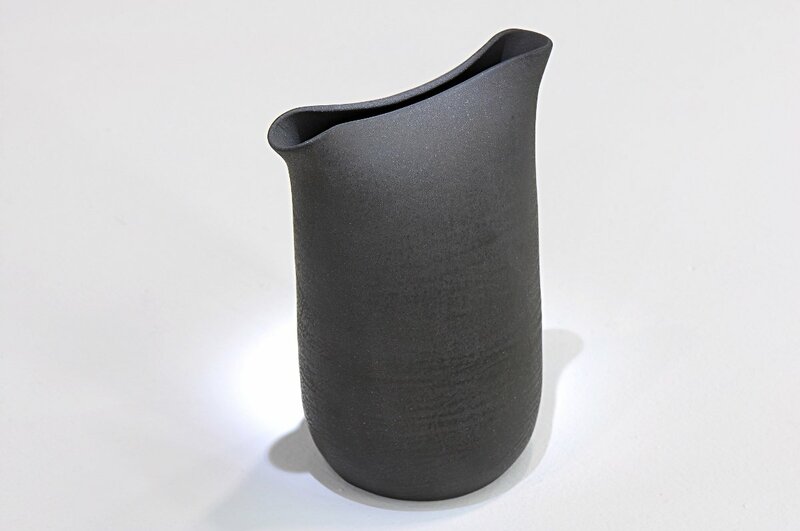 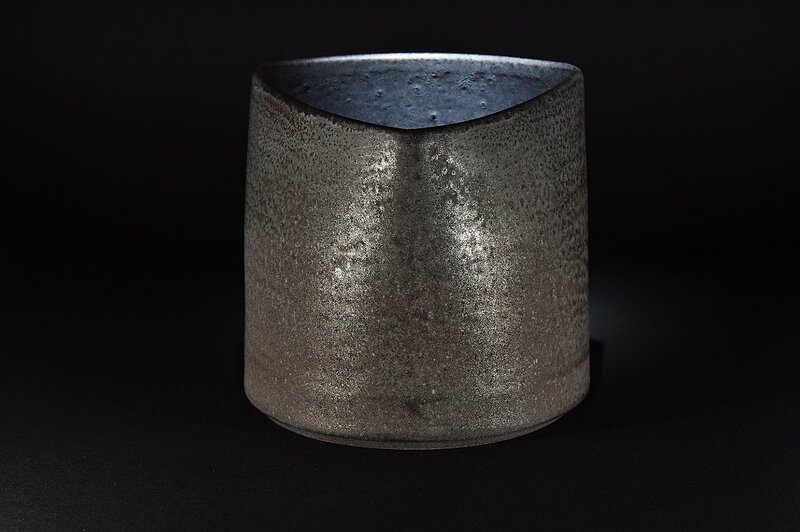 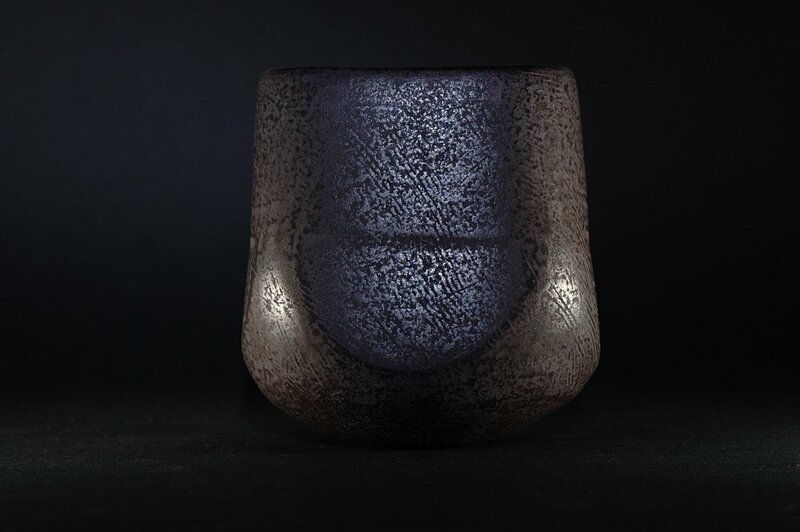 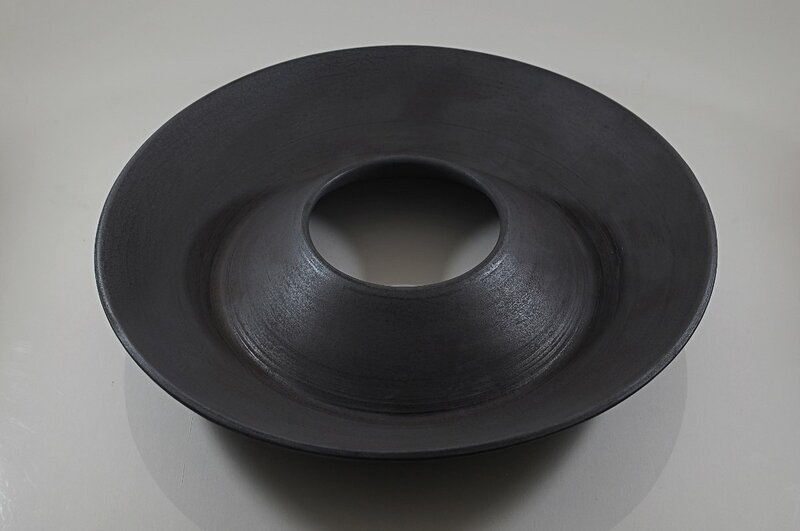 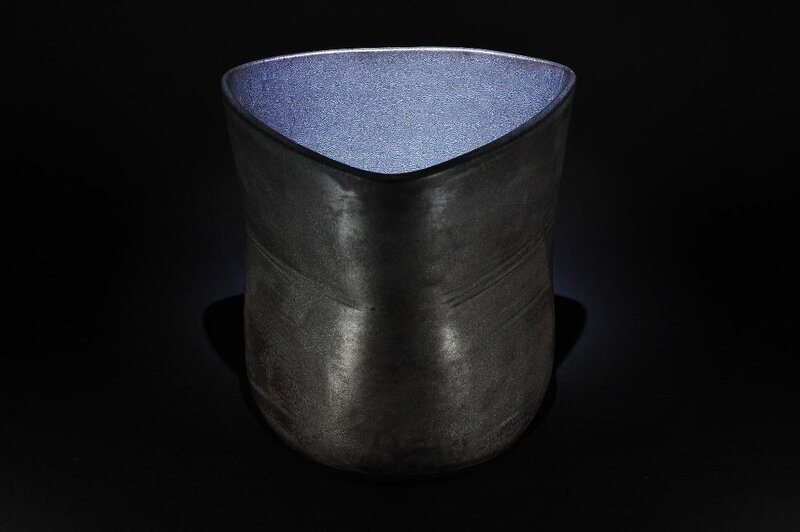 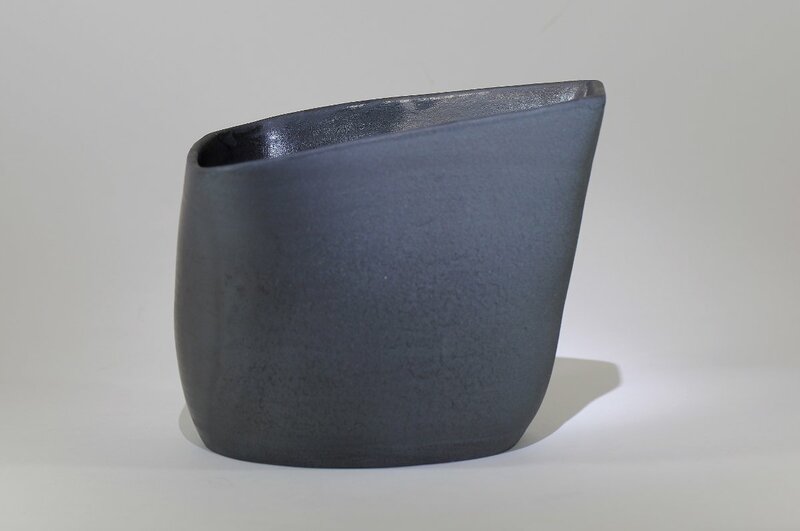 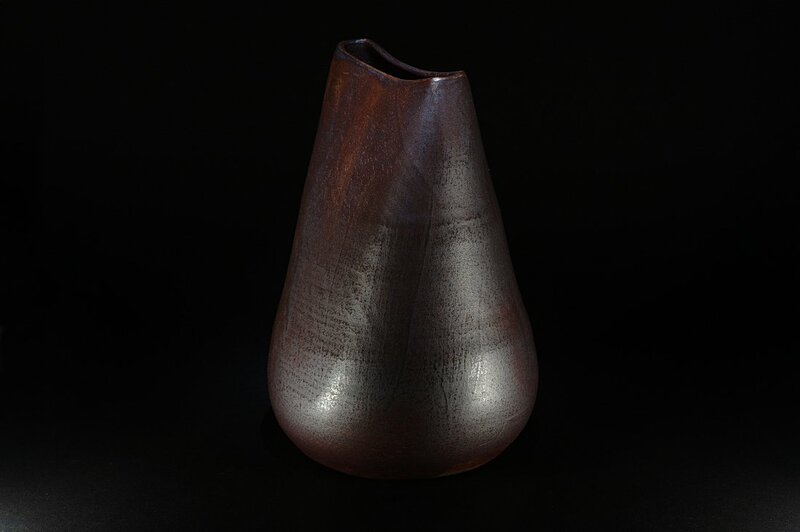 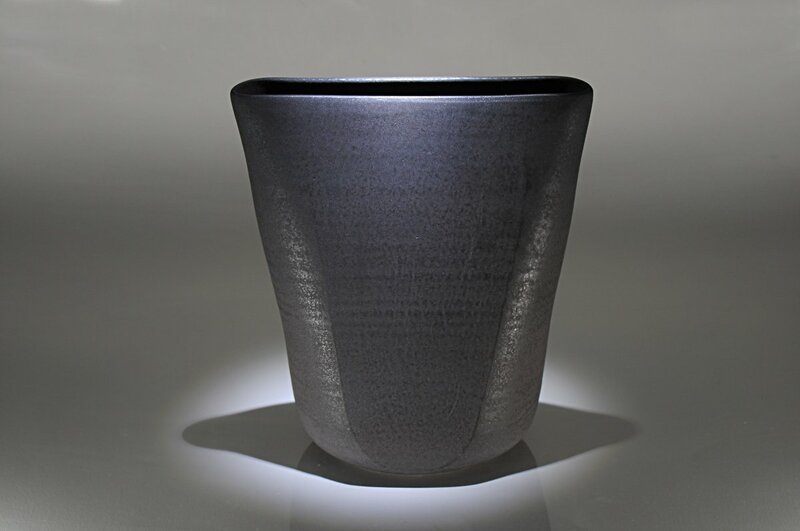 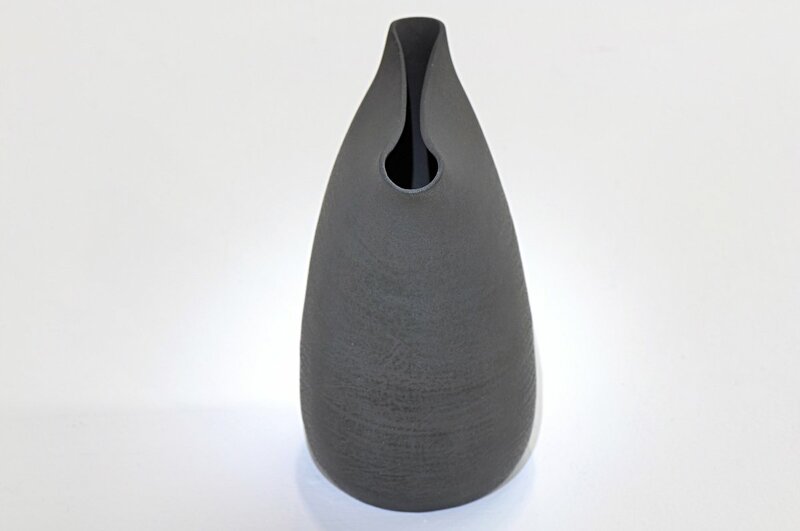 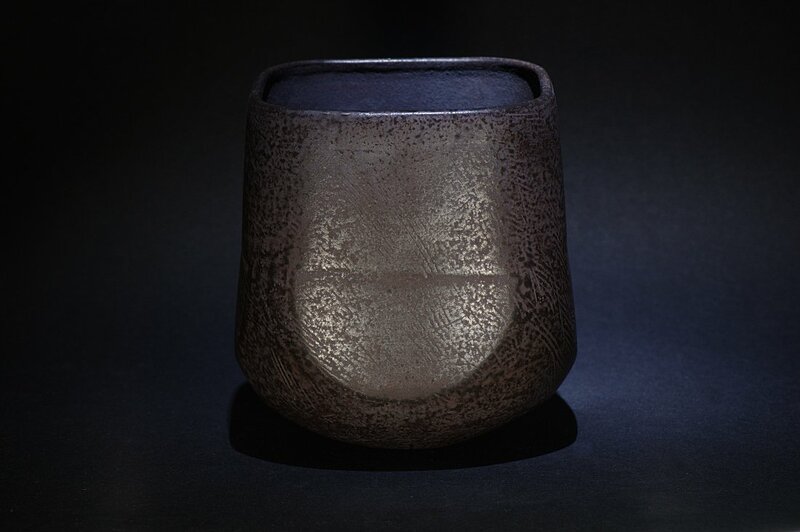 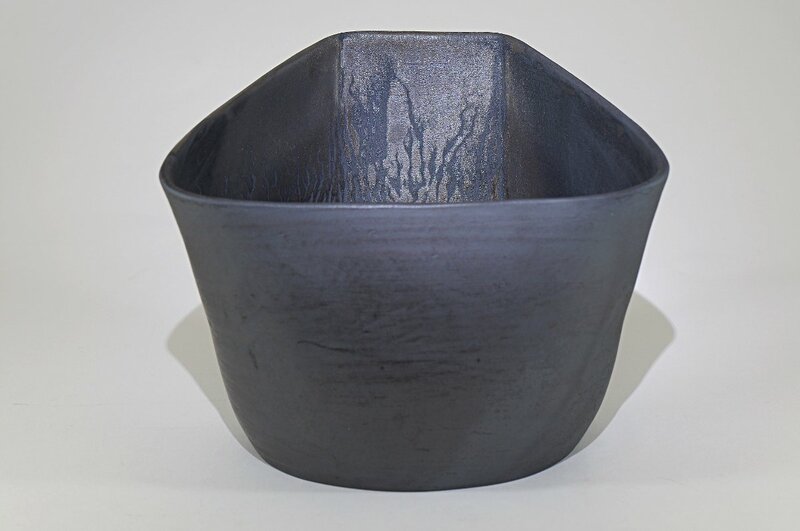 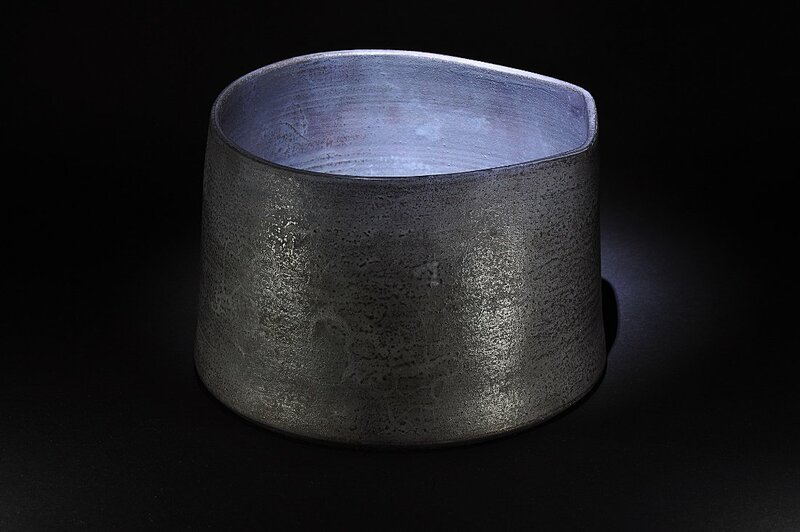 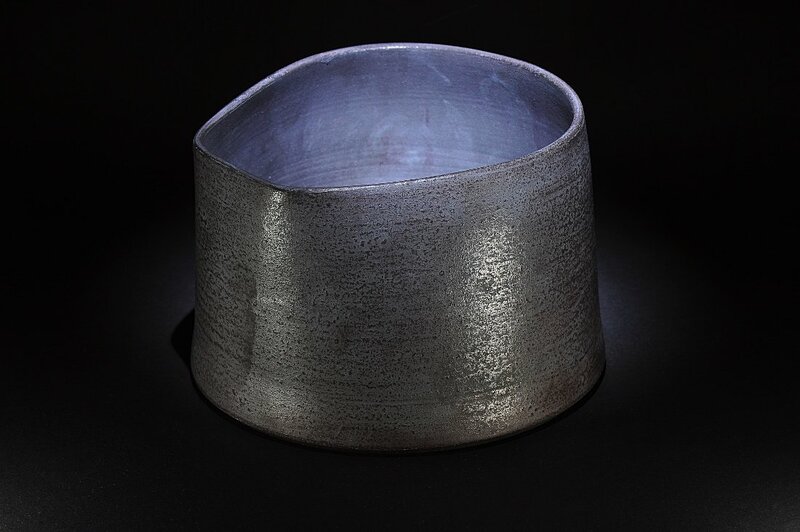 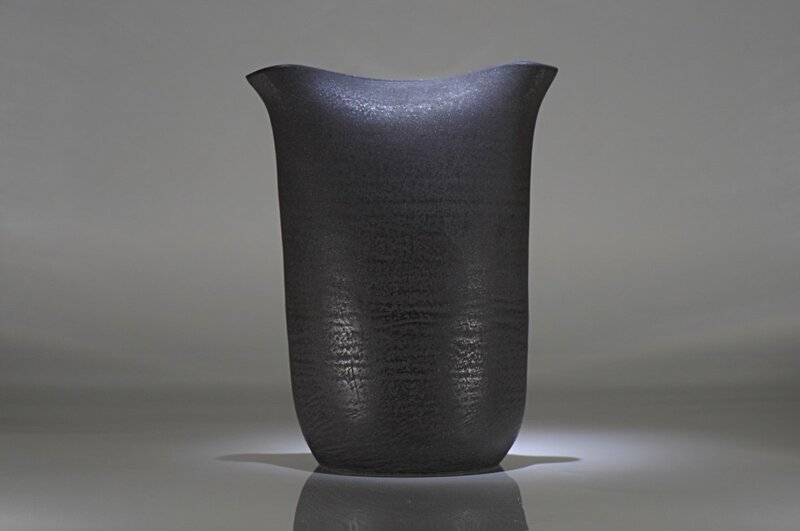 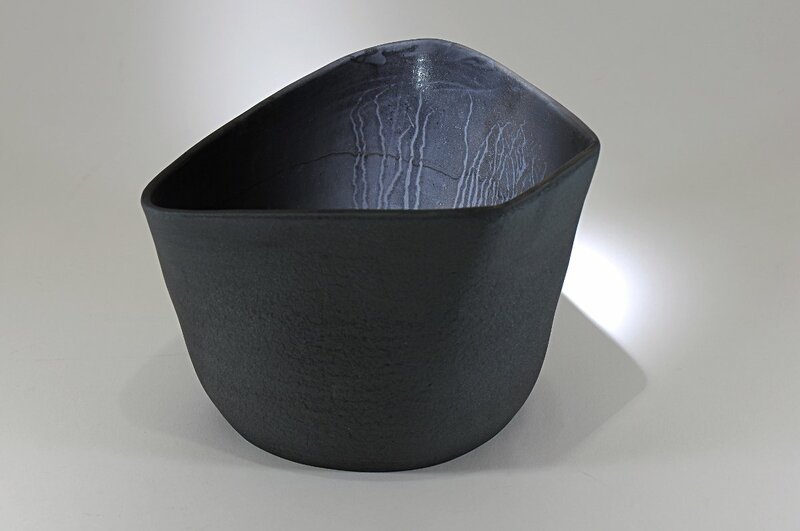 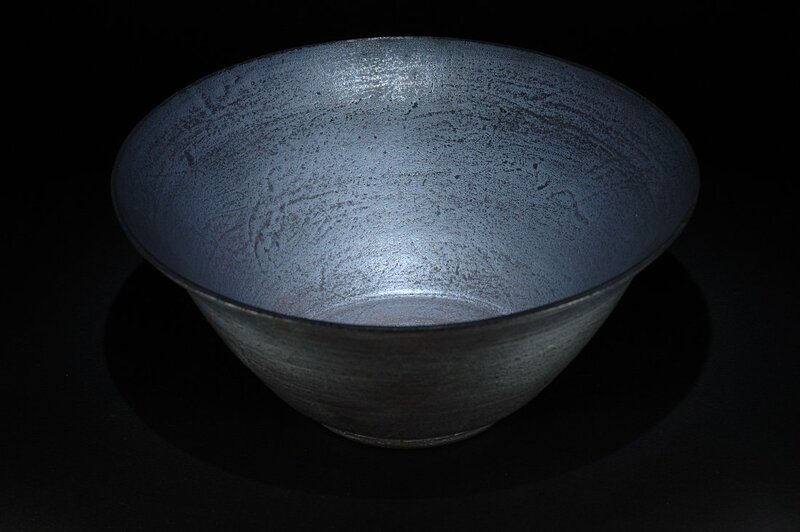 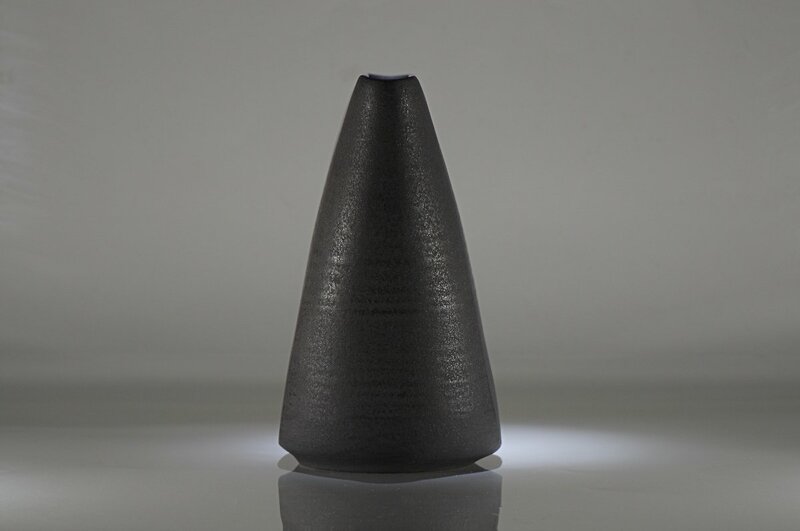 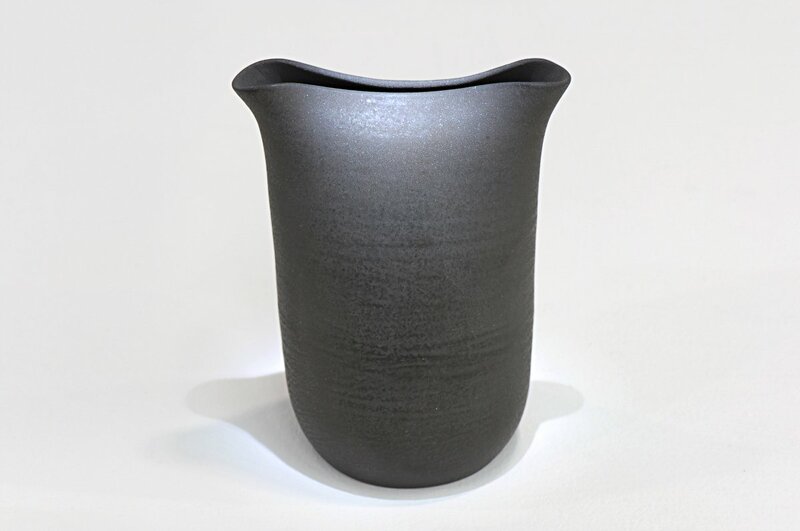 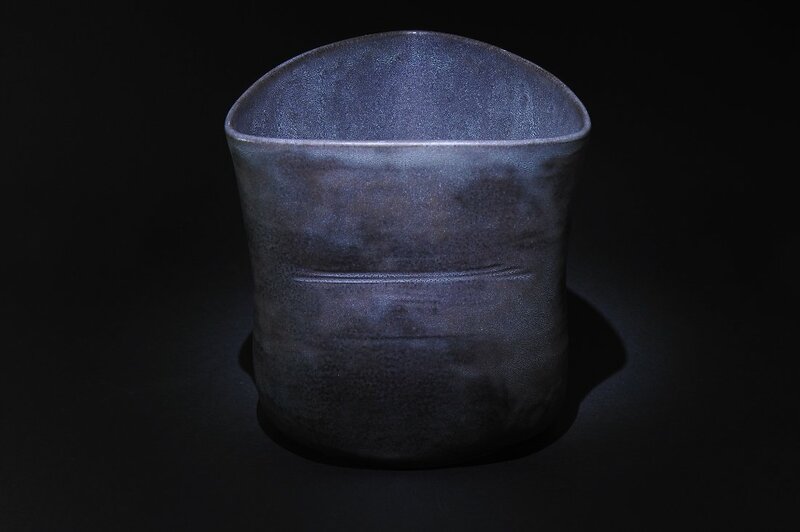 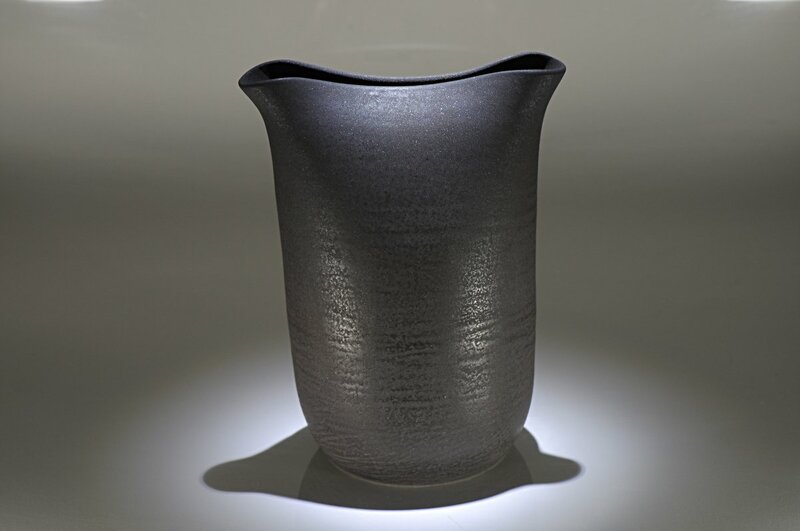 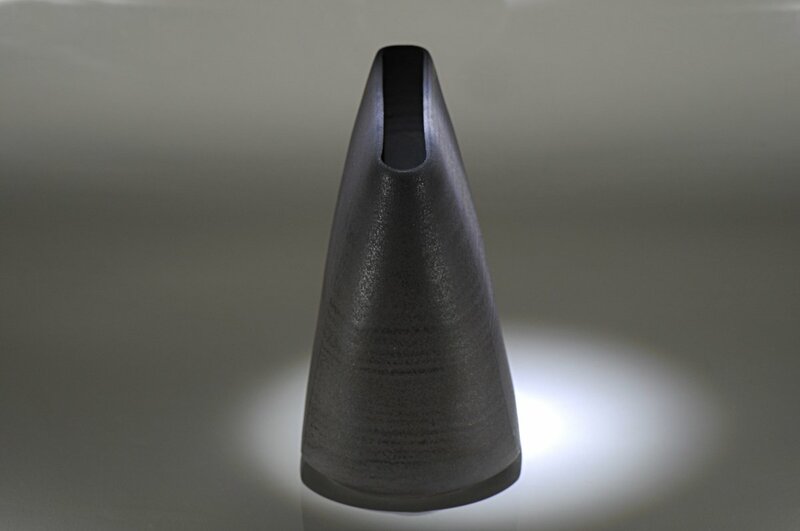 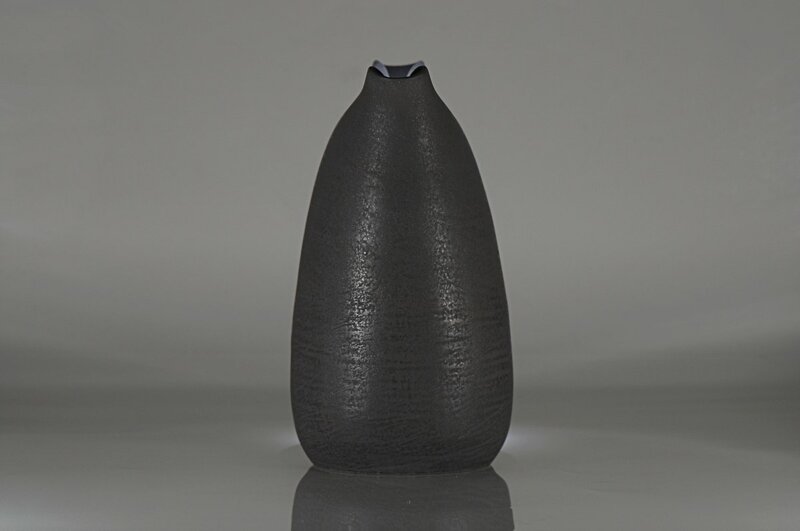 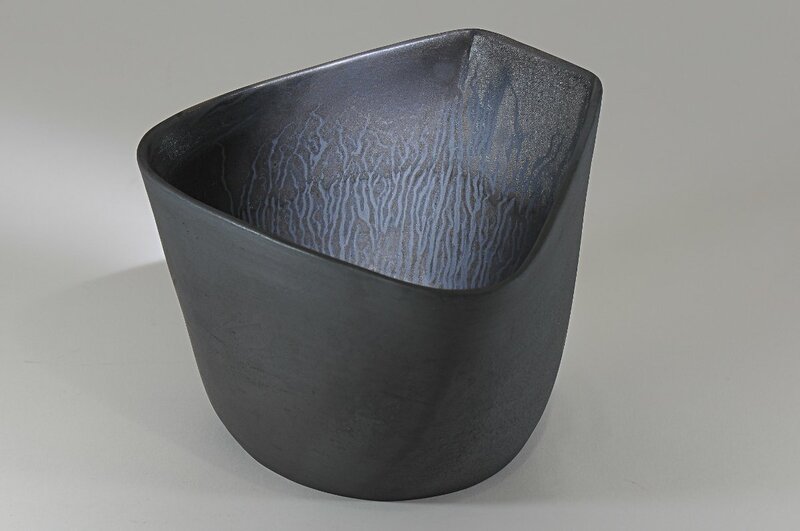 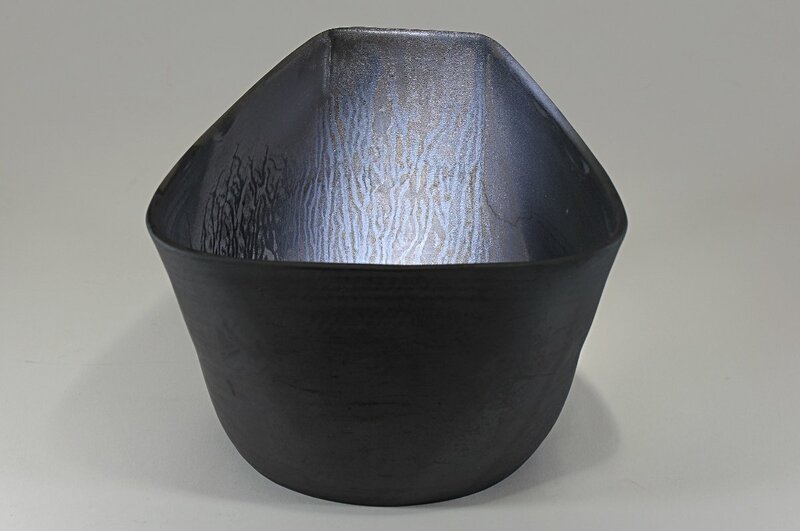 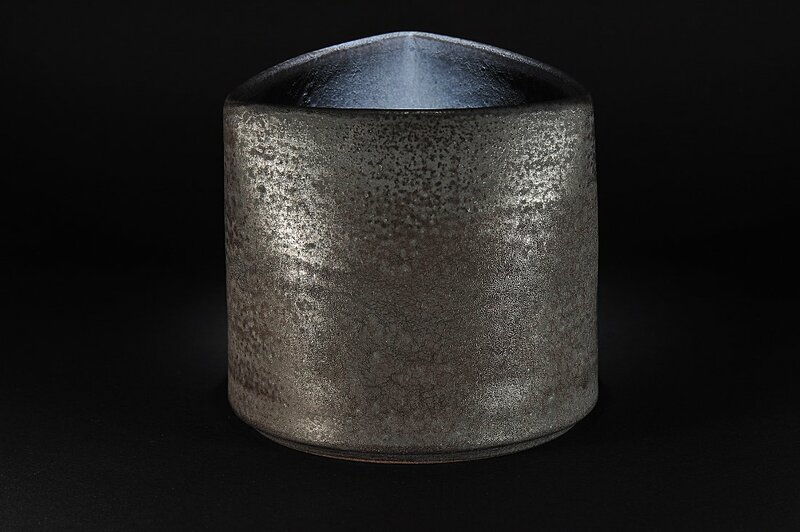 Dark Matter is a series of individually thrown and altered vessels. 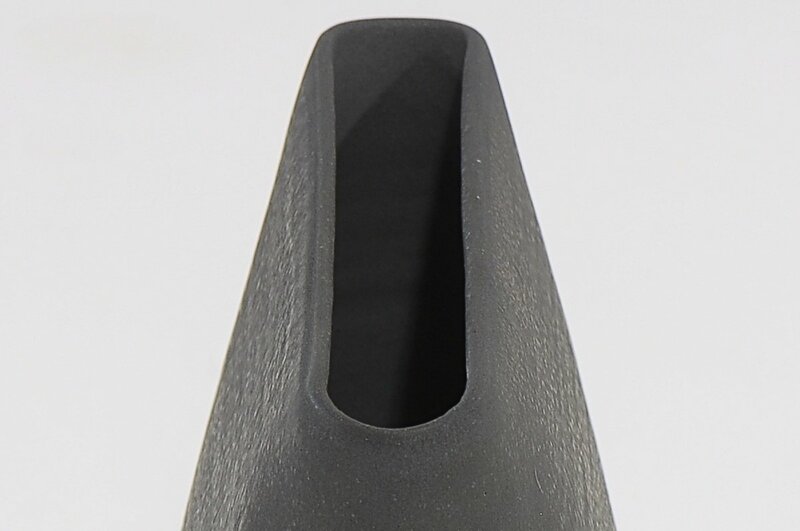 The series was begun in 2014. 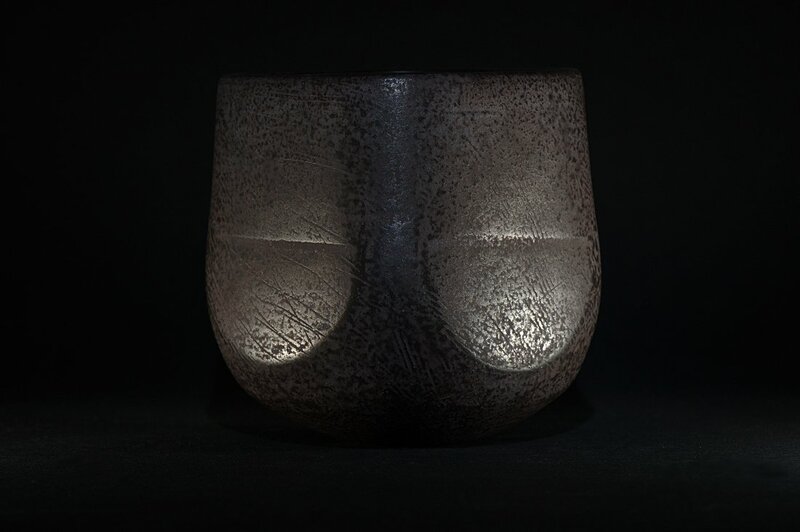 The vessels have had a number of layers of different clay slips mixed with oxides applied at both pre and post bisque. 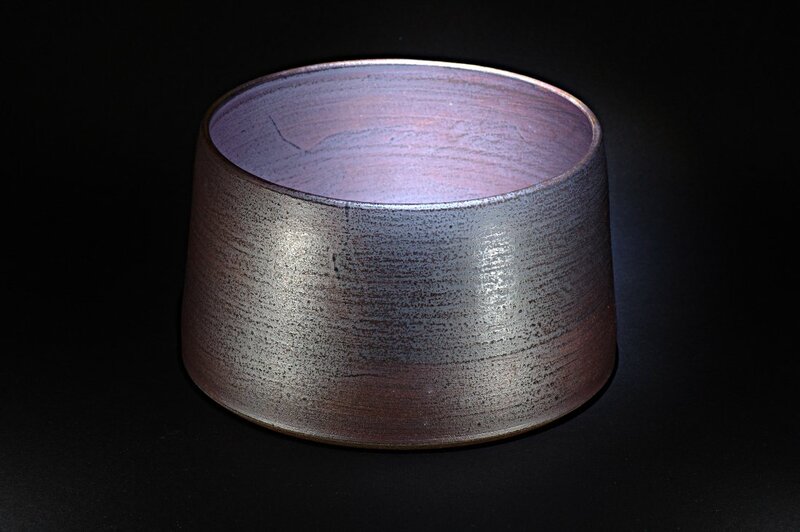 The pieces are then fired up to 1300°C in a reducing atmosphere in a gas kiln. 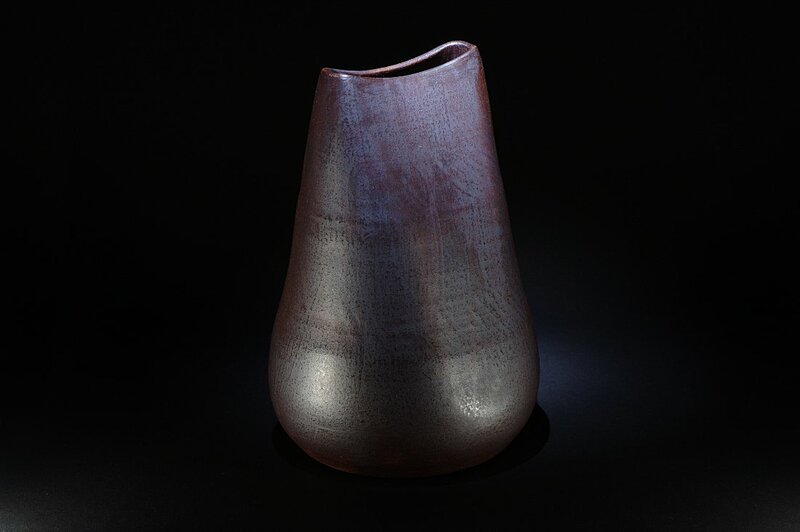 Some of the pieces have also had a bronze glaze applied over the slip and are refired to 1200°C. 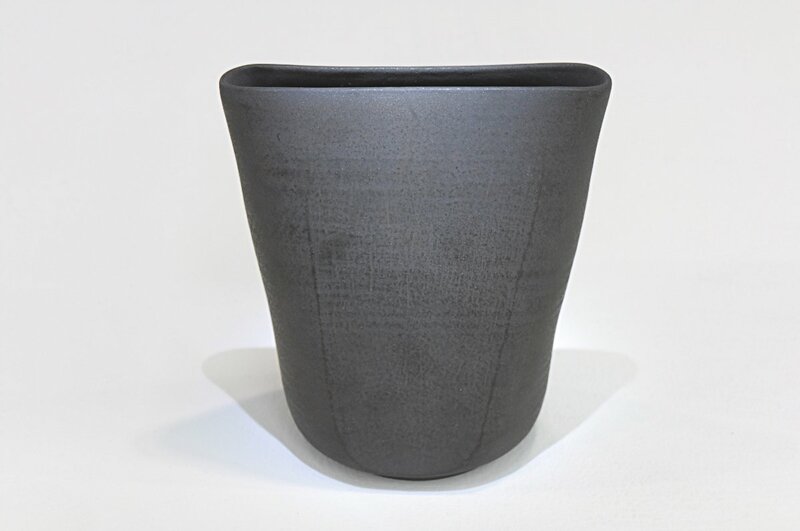 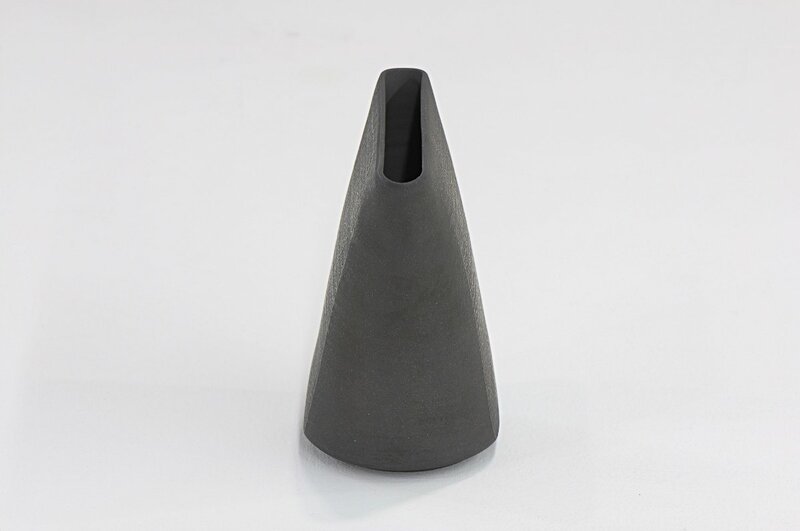 The pieces are intended as purely sculptural objects, but work well as ikebana vases. 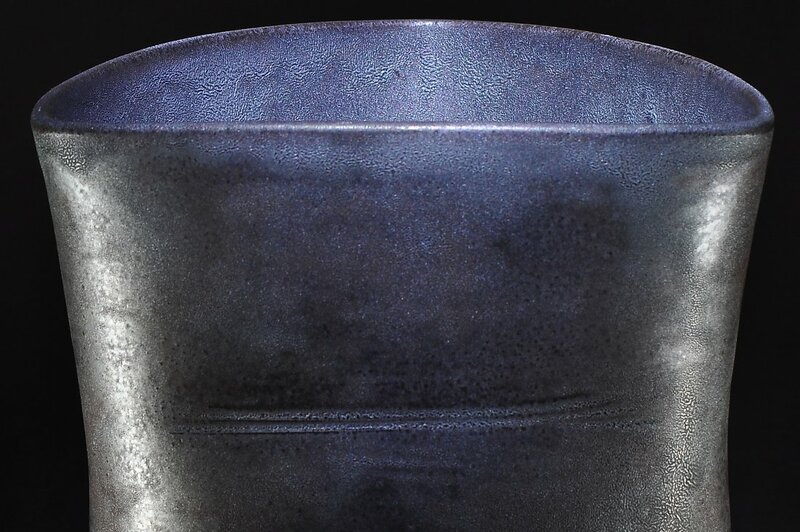 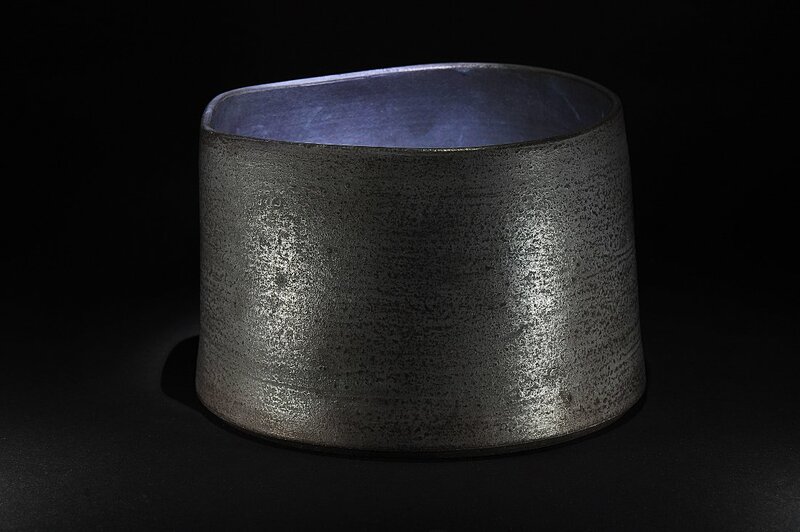 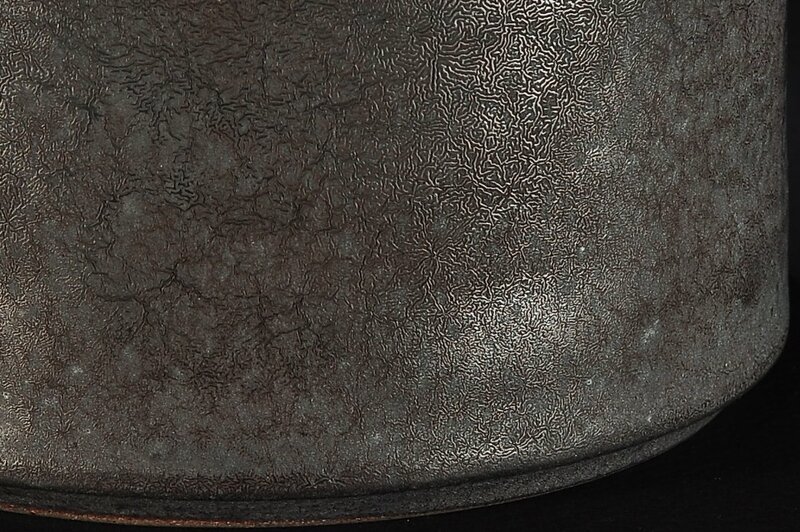 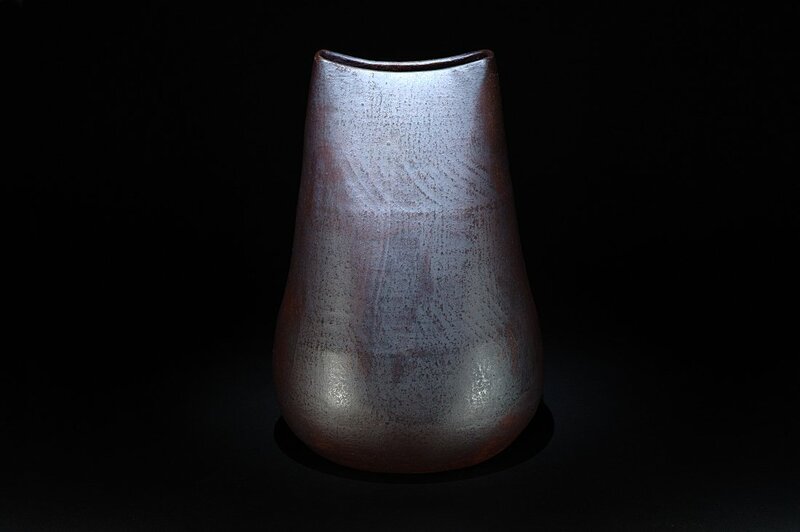 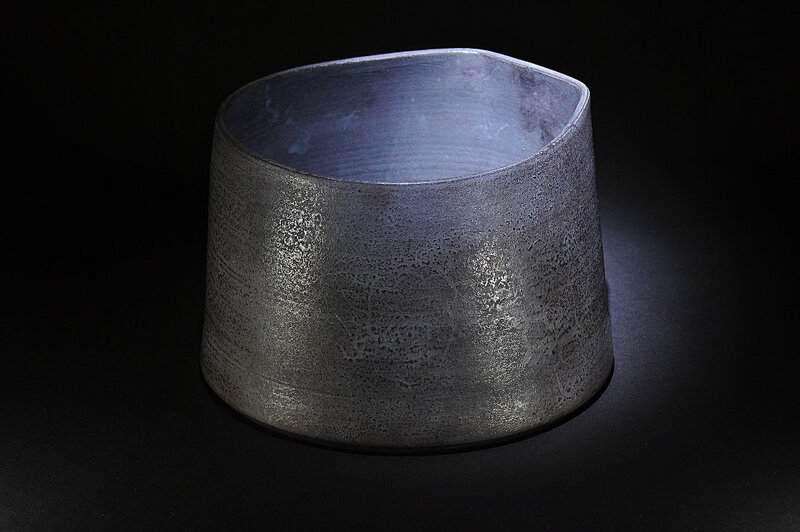 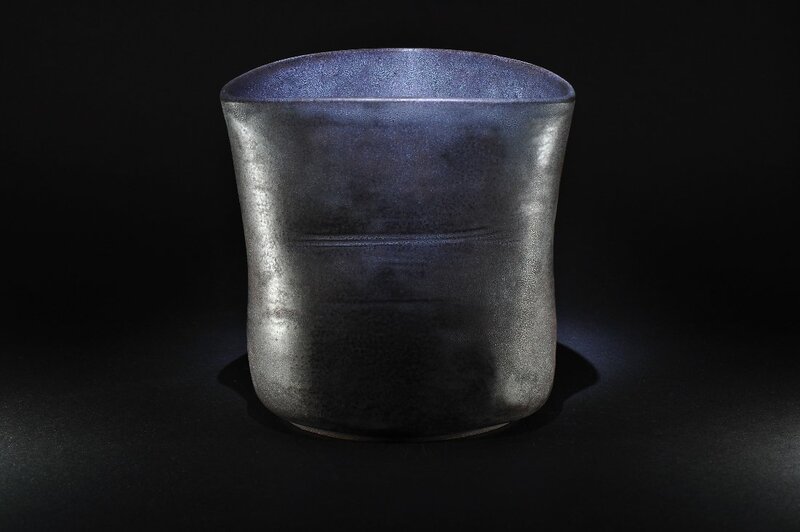 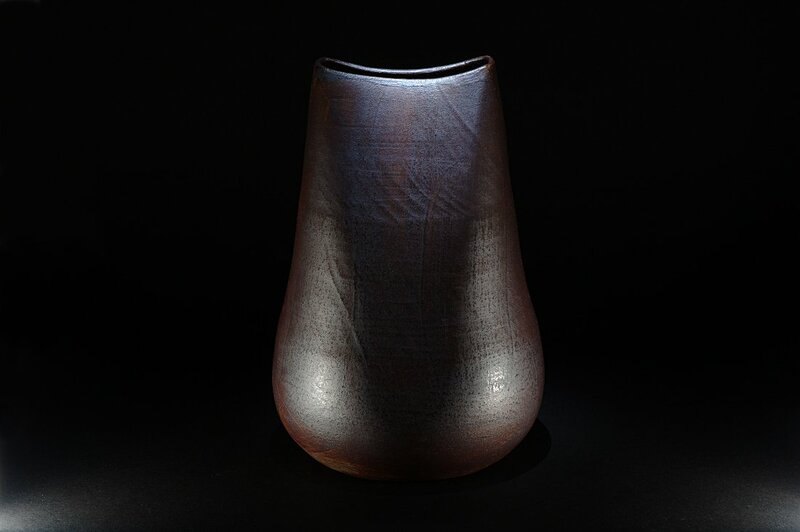 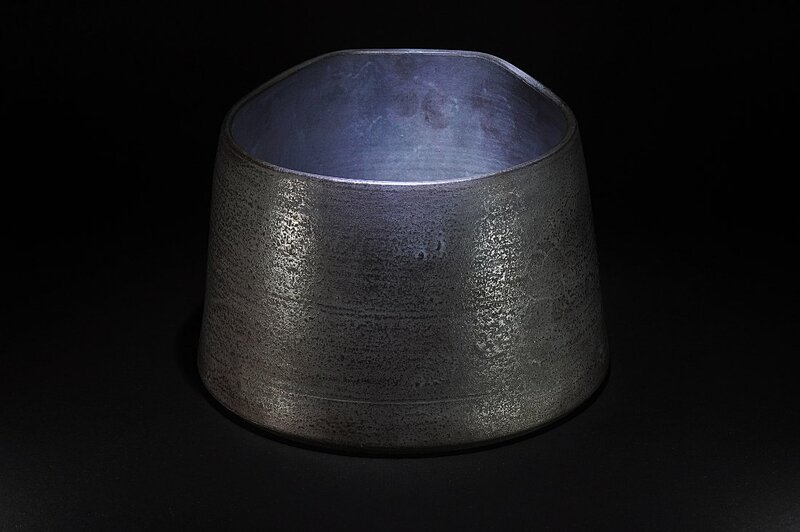 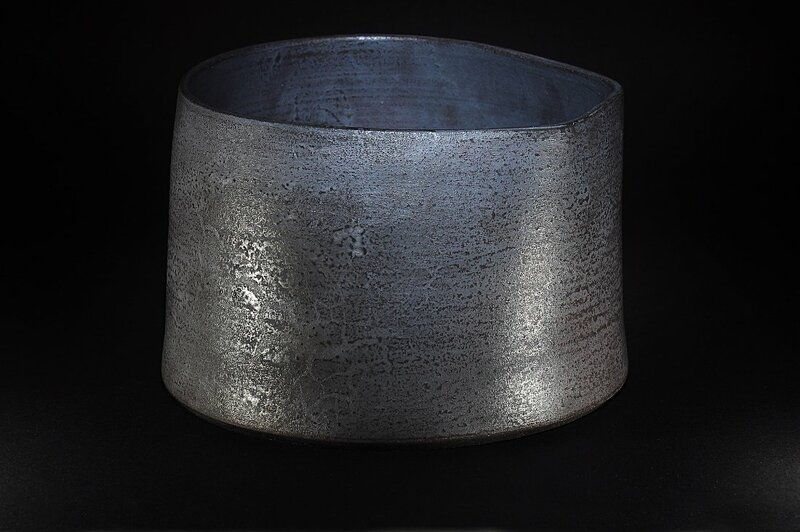 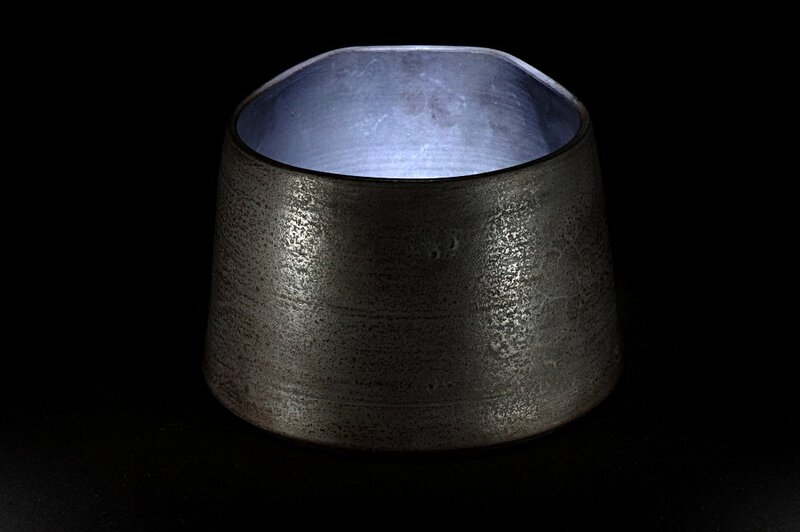 The surfaces of the vessels are burnished at all stages in the ceramic process to produce this quality of surface, which appears worn and eroded and with a soft metallic sheen emulating the patina that develops over time through exposure to the elements of ancient bronzes and much larger vessels such as the hulls of ships. 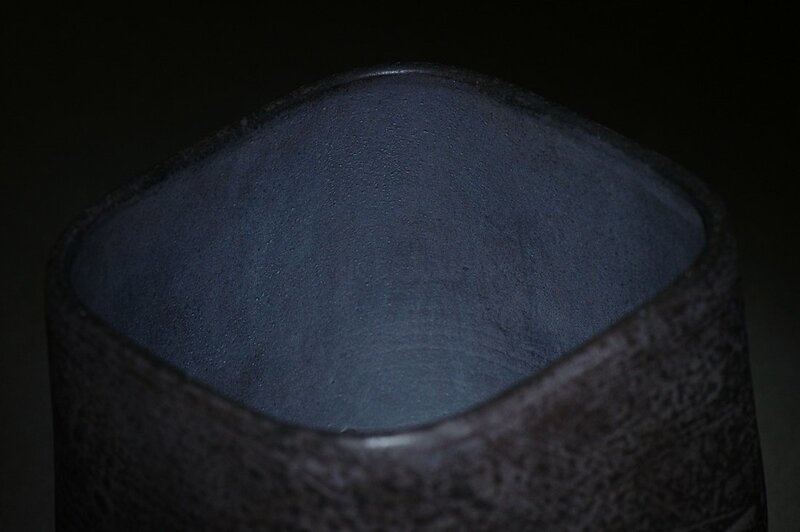 The close up of the surface of one of the vessels reveals string-like structures and a complex wrinkled surface, which is how dark matter might appear if it could be rendered visible.